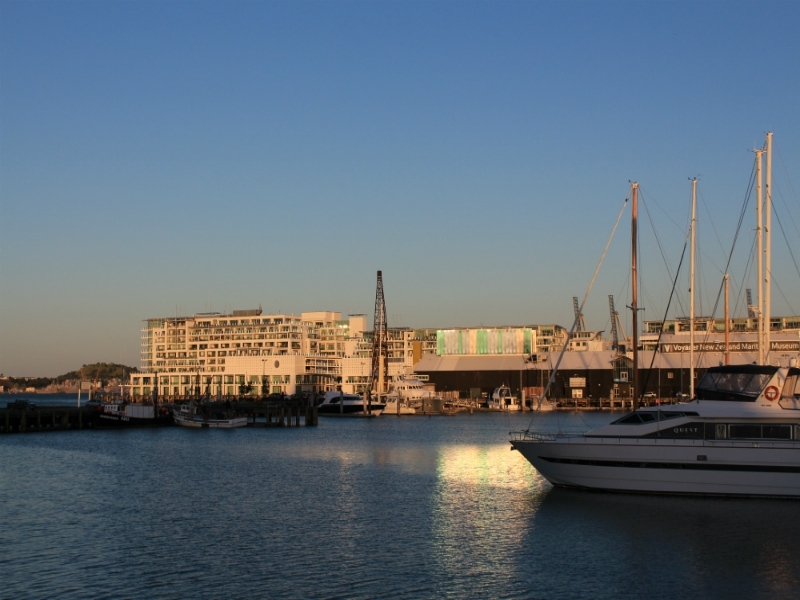 The buzzing energy and big attractions of Auckland have made it unquestionably one of New Zealand's bucket-list cities. You can bungee from arched bridges and taste the delights of the harbour by day. 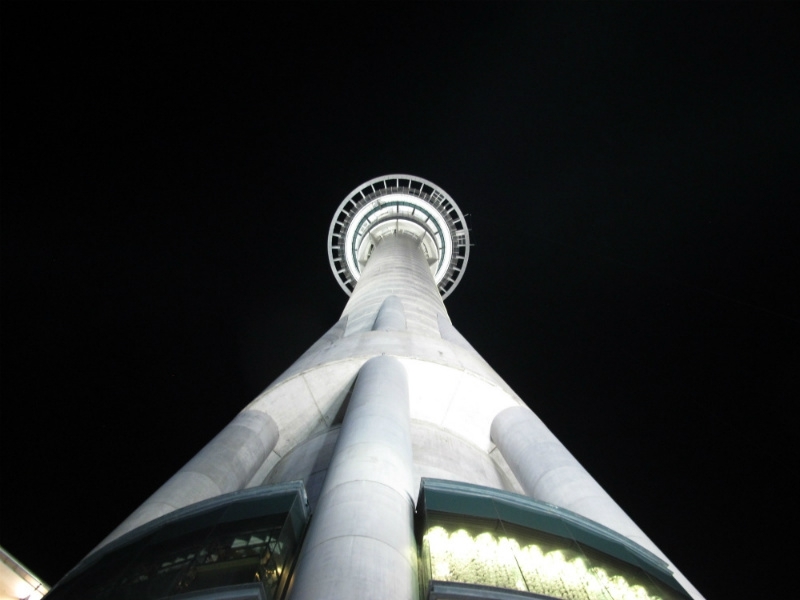 What better way to begin a night in Auckland than in the city's most iconic landmark? At a cloud-splitting 220 metres up, this breathtaking spire promises eye-popping panoramas that run for 360-degrees, taking in the sloshing waters of Shoal Bay, the Auckland Harbour and even some rugged volcanos. Dining options up top are plentiful. There's the Orbit 360° experience for the view seekers, offering a mealtime montage of the Hauraki Gulf and the metropolis. There's the chichi Sugar Club on Level 53 – a gorgeous Art Deco bistro with taste-bud-tingling European degustation. Or there's the welcoming Sky Café, a perched place for coffees, Kiwi wines and ice cream. Taking to the seas around Auckland's electric CBD at night promises a whole different vision of the metropolis. 3 courses of Kiwi treats are on the menu – think cured salmon blinis, shepherd's pie, BBQ sliders – as the sun glows red and orange across the Hauraki Gulf and the forest of high-rises and sails around Westhaven Marine shimmers and shines. You'll also get to enjoy a fully licensed bar laden with New Zealand wines and craft beers. It's certainly for cranking up the romance. Evening sessions in the Auckland Stardome on the southern edge of Cornwall Park promise a real odyssey through the cosmos. Leaving the twinkling lights of the CBD behind, you'll be thrust into an interstellar landscape of blood moons and nebulae, exploding stars and supermassive suns. 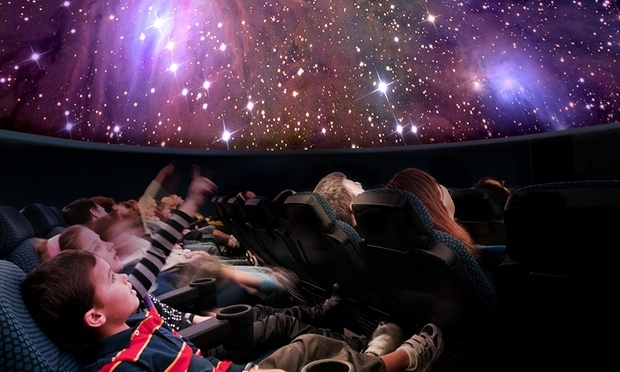 You'll recline and gaze skywards as you're told tales of astronauts and black holes and out-of-this-world planets, all the while learning about the intricate science of stargazing and mapping the universe. 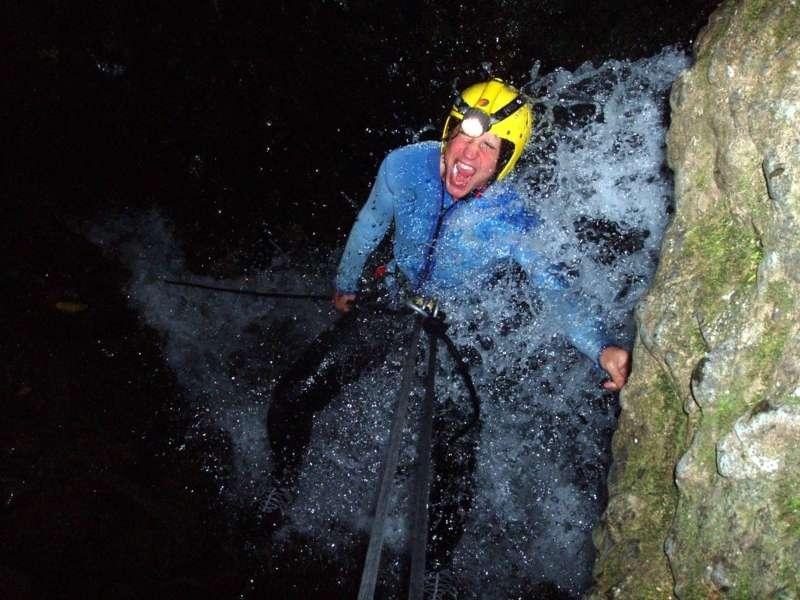 Raise the goose bumps and feel the heart beating faster in this ghostly adventure park over in Kingseat. 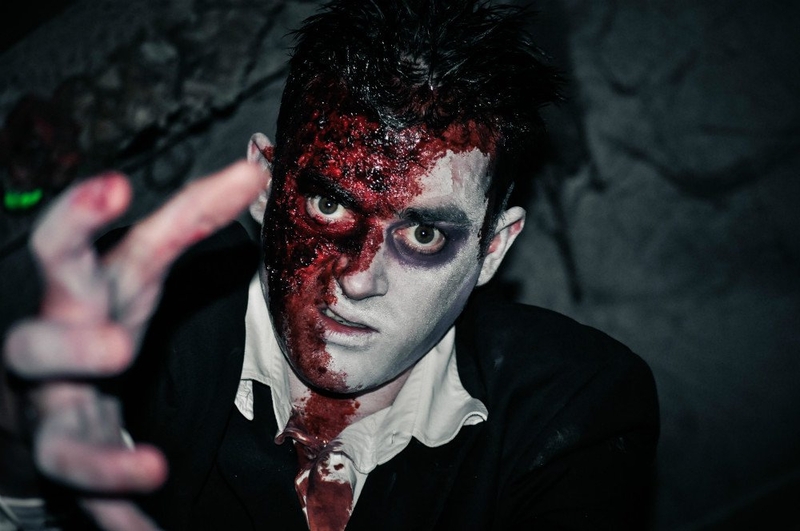 Spookers is only open after 8pm for adults looking to take on the R16 (rated 16) likes of the Haunted House, the Freaky Forest and the CornEvil labyrinth. They really come into their own when twilight descends, offering encounters with axe-wielding monsters and tortured souls aplenty. You can try your luck at escaping the mysterious rooms and mazes and can even dine on blood-curdling meals on site. Do you dare? Sizzling stalls of Thai noodles converge on stacks of caramel-scented brownies; bubbling pots of Canton curry meet homemade cheesecakes; Greek gyros merges with Middle Eastern mezze. 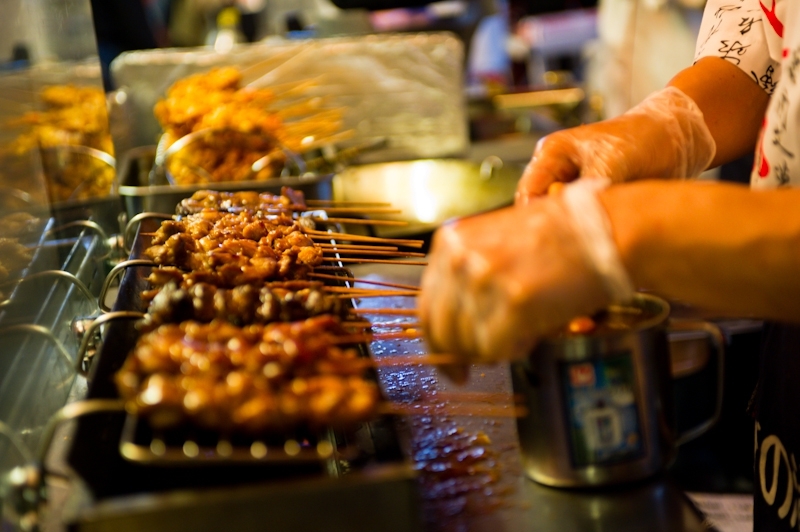 Welcome to the night markets of Auckland, where culinary treats from all four corners are guaranteed to get the foodies talking. And that's just the grub. The countless locations for these after-dark bazaars also tout Irish fiddle bands, street entertainers, magicians and local craft sellers. There's now at least one buzzing marketplace to explore in Auckland every night from Tuesday to Sunday. Be sure to wear your own corset for the famous Caluzzi Bar cabaret shows, otherwise your sides might just split with laughter! That's the sort of jaw-aching, lung-busting fun waiting to be had at this glitzy and uber-glamorous joint in Eden Terrace. Award-winning drag queens clad head to toe in bling and diamonds and sequin dresses will greet you straight away. Disco tunes will thrum, and stilettos will tap. Cocktails will flow, and the jokes will have you roaring from the get go. Risky and raucous, this one's an after-dark activity for adults – rated 20-plus. If you thought the Auckland night was just for the hedonists and shoppers and diners, think again. There's even opportunities for the budding adventurer when the sun's dropped below the horizon in this corner of North Island. Take the mist-gathering peaks of the Waitakere Ranges that lurk just to the west of the city. Deep within is the rugged Piha Canyon, a place to hop rocks, jump crags and even abseil down roaring waterfalls under the moonlight. Everything's provided, from harnesses to wetsuits to helmets, and you'll even get an awesome sunset show across the Piha ridges to kick things of. It's sure to be an expedition to remember!